To design the most efficient route, one must also, of course, know the desired destination. The most efficient Taiji practices are intelligible only in terms of the desired goals of Taiji practice. We must first begin, then, with an understanding and recognition of the purpose or benefits of Taiji practice. Table 1 summarizes some of the potential benefits of Taiji practice. I have divided the benefits into primary, secondary, and holistic categories. Although these categories are certainly not mutually exclusive, Taiji was created as a martial art, and so specific benefits that yield improvements in self-defense skill are listed as primary, while other specific therapeutic benefits are listed as secondary and broader benefits as holistic. By no means is this categorization intended to lessen the importance of any potential benefit—it is only to emphasize why the core exercises that constitute Taiji practice were initially created. The primary benefits of Taiji training are the skill variables that the Taiji training system was designed to enhance. Postural control and balance, flexibility, coordination, agility, strength and power, sensitivity and awareness, reaction time, and confidence—these are the gong, or essential foundational skills, developed through Taiji practice. They are the support and foundation for technique and therefore indispensable for martial skill—hence the many famous sayings in the internal martial arts tradition emphasizing the priority of gong, or foundation practice (as directly opposed to martial technique or trickery). At the same time, these benefits are fundamentally health issues, and understanding the primary purpose of Taiji practice serves to dispel any confusion or differentiation as to whether Taiji is a martial art or health exercise. Certainly if you begin Taiji practice hoping to improve or cure a specific medical condition, then that benefit is primary, not secondary, to you. 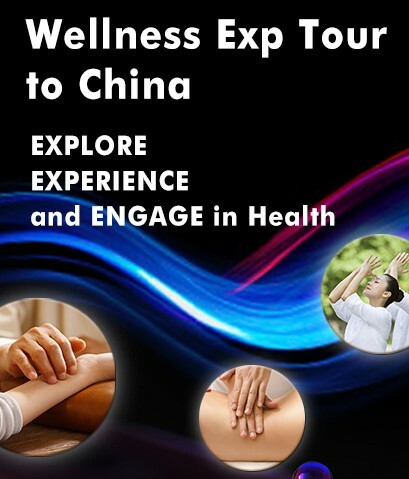 Indeed, throughout Chinese martial arts history, many of the most famous practitioners were initially motivated to practice because of poor health. The holistic category lists benefits that are perhaps the least expected and most difficult to quantify, but sometimes recognized as the most significant in people’s lives. 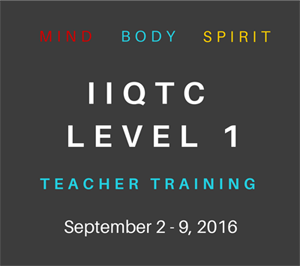 The most efficient Taiji curriculum is that which will effectively and quickly yield improvements in these variables. At the same time, no program is broadly effective unless it is attractive to and adhered by the participants. The duration, frequency, and overall level of intensity and complexity of practice, and perceived improvement by each participant, are all variables affecting the rate of adherence. In short, any intervention or exercise must be enjoyed, and the participants must recognize the benefits. It is important to know that these exercises are interrelated and synergistic—each exercise builds upon skills developed from the others, and the combined effects of correct practice of all exercises are greater than practice of individual exercises. 不静不见动之奇: Bu jing bu jian dong zhi qi. If you don’t have quiet or tranquility, you will never see the miracle of moving. In central equilibrium (what is commonly called “standing pole”), the feet develop root, and then you may study the four sides and advance and retreat [emphasis added]. (Wile, 1996). 练拳不站桩,吃饭没粮仓: Lian quan bu zan zhuang, chi fan mei liang cang. Practicing form (external movement) without practicing standing pole is like eating food with no grain in the storage bin. 百动不如一静,百练不如一站: Bai dong bu ru yi jing, bai lian bu ru yi zan. One hundred movements are not as good as one stillness; One hundred practices are not as good as one standing (pole). Recalling past years, how bravely I fought to wipe out the enemy troops, and what risks I went through! All the favors bestowed upon me are now in vain! Now old and feeble, I am accompanied only by the book of ‘Huang Ting.’ Life consists in creating actions of boxing when feeling depressed, doing fieldwork when the season comes, and spending leisure time teaching disciples and children so that they can become worthy members of the society. (Feng, Feng, and Chen, 1984). Discussion of efficient meditation practice is beyond the scope of this paper. However, a single passage of the Huangting Jing does communicate the essence of meditation. This passage says that “hiding” oneself (fu) in Great Darkness results in “seeing one’s own form” (jian wu xing). This inward looking, in quiet contemplation with the ultimate goal of self-realization, is the essence of meditation espoused by advanced practitioners of all the world’s great spiritual traditions. Sitting and standing meditation are related, but do yield different benefits and are both essential components of traditional Taiji training. Both are “mind/body” integrative exercises of the nervous system and both strengthen core musculature—upon which the mechanics of Taiji movement fundamentally rely. However, in general, sitting meditation is relatively more directed to the former and standing to the latter. The standing and sitting meditation exercises are so crucial to efficient Taiji practice that it is precisely these exercises that were omitted from public teaching when the goal was to preserve the “secret” of the art within a small, select group of family members or disciples. These practices are now an “open secret,” but little information has yet been disseminated as to why they are important, and almost none of the current Taiji research has even mentioned them. Many different “styles” of Taiji have evolved over the past century. Chen, Yang, Sun, Wu, and Wu (Hao) are all considered orthodox styles of Taiji form. The famous martial artist Yang Luchan (1800-1873) was the first “outsider” to learn the art from the Chen family. His grandson, Yang Chengfu (1883-1936), is generally credited with standardizing the form now known as the Yang Family large frame. Yang Chengfu’s modified form was the first to be popularized throughout China and the world. The form movement should not be overly complicated. The original Chen style form, for example, contains relatively complicated silk reeling motions that can only be performed correctly, or even understood, by adept practitioners. These motions are not necessary to begin to learn the art and realize benefits of practice and, in my experience, only confuse beginning practitioners. For this reason, I have omitted the advanced movements when teaching the Chen form to beginning students of any age. 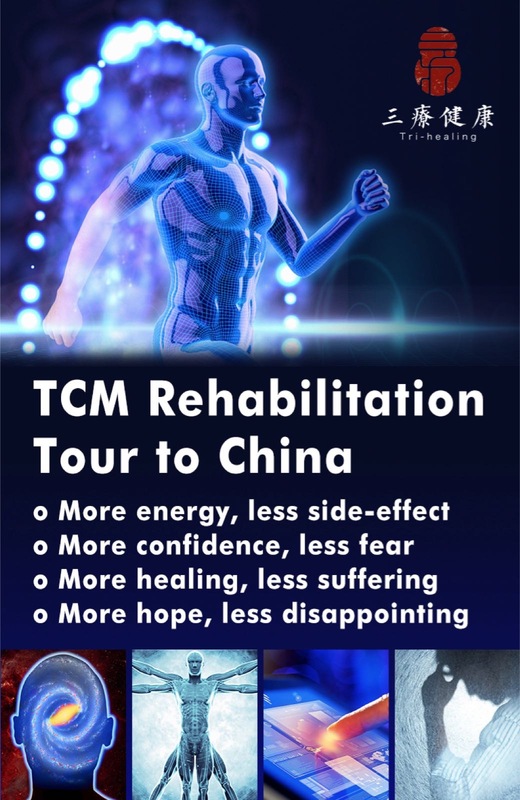 I believe that the omission of these advanced movements was a significant factor in allowing the modified form taught by Yang Chengfu to reach a mass audience. While the truly complex movement should be omitted, challenging postures, such as kicking motions requiring single leg stance or backwards walking motions, should be retained to challenge healthy participants of any age. The range of motion should be as large as comfortably allowed. A well known saying within the Chen family tradition asserts “From big to small.” A similar saying exists in Chapter 28 of the Yang Family Forty Chapters: “First practice expanding, then look to compacting” (Wile, 1996b). Although smaller and smaller circles are possible as advanced stages of form practice, in order to initially learn the movement, and to increase range of motion and physical ability, it is helpful to first practice with larger motions. Once you understand and can do the movement, you can perform any given circular movements in any radius—there is absolutely no difference in the mechanics of how the movement is generated. Some believe that a smaller frame form version is better suited for older or less physically fit persons, while a big frame form is more fitting for the younger, stronger, and more martially minded persons. While it is certainly true that the range of motion must be adjusted according to physical capability of beginners, it is also true that, as just explained, smaller movements can represent a higher level of achievement. Whether the practitioner’s interest is in health or martial arts, it is advisable for beginners to gradually increase the range of motion of form movements to improve physical capabilities. The principle of “from big to small” applies not only to arm motion, but to all body movement. Within the comfortable limit of ability, each practitioner should approach the maximum comfortable limits of waist turning and weight shifting during form practice. In so doing, you will not only increase range of motion about the body joints, but also increase the comfortable range of motion within the base of support, effectively increasing the radius about which you are able to maintain balance. A variety of directional movement should be included in the choreography. It is said that Taiji is practice of the “Thirteen movements.” The thirteen movements are comprised of the “eight forces” (peng/lu/ji/an/cai/lie/zhou/kao) and the “five directions” (advance, retreat, left, right, and central equilibrium). In essence, peng/lu/ji/an/cai/lie/zhou/kao are individual motor skills that, in combination with the five directions, represent all possible range and direction of human movement and force exertion. It is well recognized that the traditional long forms must be considerably abridged for Taiji to appeal to a mass audience, and nearly all styles of Taiji now advertise short forms for mass consumption. When distilling the forms, however, Taiji instructors should be careful to select a wide variety of directional movement to challenge healthy practitioners of any age. Simply repeating the same or similar movements will yield limited benefit in mind/body connection. Postures that are potentially injurious to the knees should be avoided. Knee injuries are not uncommon among Taiji practitioners. According to Taiji principles, the knees should be slightly bent. However, beginning students of any age should not be encouraged to practice in lower postures. Besides violating basic Taiji principles, lower stances will likely result in an injury to the knees. Similarly, instructors should emphasize correct footwork so that the knees are not stressed during form movement. The simple postural principle is that the stance should always be relaxed and natural—this requires constant stance adjustment during form practice. Again, these differences in the complexity of movement and range of motion are applicable to beginners of any age, and are mentioned here as a variable subset of the general principles of Taiji practice and mechanics of Taiji movement, which are assumed familiar to any instructor. Although push-hands is a pillar of Taiji practice and is essential to realize the maximum possible benefits of practice, correct practice does require a foundation of skill developed through standing and sitting meditation and form practice. I do believe that push-hands can be practiced and enjoyed by older adults, but there is little purpose in introducing this practice at the beginning stages of an intervention. Further information concerning the purpose and interrelated nature of the sitting and standing meditation, form, and push-hands exercises, including hypothesized mechanisms, are detailed in Yang 2005. All of the practices of Taiji are qigong, or energy gathering/nurturing exercises. In this respect they are considerably different from the “no pain, no gain” mentality of Western exercise regimes. Following practice one feels (or should feel) energized and refreshed. For this reason, practitioners of any age can practice every day, and those who begin to realize the benefits of practice often choose to do just that. It is traditionally taught that it is better to practice 10 minutes a day than to practice for one hour on the weekend, and better to practice one hour a day than to practice all day once a week. Practitioners should be encouraged to practice daily. Beginning practitioners, however, are limited in what they can practice and frequently only practice during class time. For this reason, intervention studies should provide instruction and/or organized practice several times a week. The organization of class time will affect the comfortable duration of each class. Alternation of sitting and standing meditation with form practice may help practitioners remain interested and extend instruction/practice time. Also, the inclusion of simple moving qigong exercises as warm-up exercises may add to the perceived variety of the class, and because these movements are simple and repetitious they may provide a means of perceived self-accomplishment or improvement attainable before choreographed form is learned. Instruction in choreographed form itself should follow the pace of the class, with attention not to exceed the capacity of the participants to memorize the form. Older adults do have a lesser capacity to memorize and retain choreographed movement, and in our experience at the University of Illinois it took four months of 30 minutes of form instruction three times a week for older adults (mean age 80 years) to learn a seven-movement form. Beginning practitioners of any age are often frustrated with their inability to memorize choreographed movement, and all beginners should be encouraged and reminded that it does not matter in the least how soon one can memorize choreography. 气功能祛病,缘由在松静: Qigong neng qu bing, yuan you zai song jing. 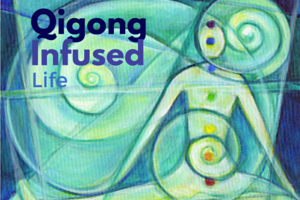 Song (relaxation) and jing (tranquility/quietness) are the reasons why qigong can heal you. However, whether due to the self-induced anxiety of learning choreographed movement and “keeping up with the class,” the anxiety of learning exercise that may be perceived as foreign to Western culture, or simply to the difficulty of releasing habitual tension that has accumulated over a lifetime, it is often hard for beginning practitioners of any age to relax. I recommend that high quality, well composed meditation music be used as an environmental aid to assist beginning practitioners with relaxation. 苦练十年,不如名师一点: Ku lian shi nian, bu ru ming shi yi dian. One word from a knowledgeable teacher will save ten years of hard practice. 诀窍奥秘, 须经明师口传心授:Jue qiao ao mi, xu jing ming shi kou chuan xin shou. by sincere instruction from a teacher who understands the art. Through organization, effort, and the generosity of knowledgeable teachers, the most efficient practice curriculum can be mass communicated to potential instructors. It should be recognized, however, that such knowledge is a gift of generations of master practitioners who dedicated their lives to Taiji practice—a gift that was a zealously guarded secret until not too long ago. This entry was posted in From the Master and tagged best practice, meditation, practice, proverbs, push hands, taiji. Bookmark the permalink. Very interesting article on the health aspects of Tai Chi. 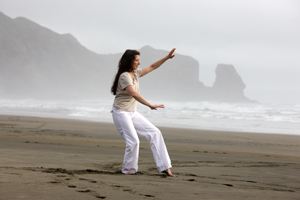 It is difficult to do research on Tai Chi because there are so many variations and styles. Many scientists are not familiar with Tai Chi and may select an incompetent person to instruct the subjects. For martial arts the original yang form, which contains fast and slow movements should be practiced and/or realistic 2-person martial exercises should be practiced. The commonly taught push-hands is almost useless for self defense. Very few Tai Chi teachers teach some elementary self defense like counters and escapes for grabbing one wrist, both wrists, lapels, hugs around the body front and back with and without arms pinned, hammerlock, full nelson, chokes, etc. The attacker should use full power to make it realistic and to see if the student can actually counter. I have had many beginning students escape from danger, who have just learned these one-move escapes, without having practised freestyle. They are instructed to escape and run. If they want to attract attention don’t yell help but “fire”. I agree with you, practical application of Tai chi is very important. 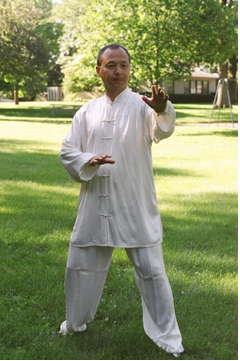 It will help you believe more in what you doing(tai chi practice) and also will give you weapon against stress. I’ve been practicing Yang style long form for 3 years now, and I really want to try myeself in a fight. I could be beaten, but this will help me to improve my Tai chi. Just desire to say your article is as astounding. The clearness for your post is simply cool and i can think you are a professional in this subject. Fine along with your permission let me to take hold of your feed to keep updated with imminent post. Thank you 1,000,000 and please continue the gratifying work. Well I am adding this RSS to my email and can look out for a lot more of your respective interesting content. Make sure you update this again soon..
That’s great. I like it. Thank so much. all the online users; they will get advantage from it I am sure.